We build professional WordPress websites fast, we will also build back and secure your website if it has been hacked or is not fully functional. A CMS, or content management system, is a tool that allows you manage the content of your website independently. WordPress is flexible, highly customizable, super user-friendly, and is a great content management system (CMS). You can use it for blogs, small business websites, and even e-commerce. We have skilled developers that can bring your site up to date and add that custom touch you always wanted. We meet with the client and stakeholders to understand their website needs. We design a template theme customized to the client's needs. We add and format content for your site and blog to make sure you stay ahead of your competitors. We put your site live with full SEO to help clients generate leads, acquire customers and grow profits. We'll install WordPress and any free or premium WordPress theme and customize it for your company's brand. 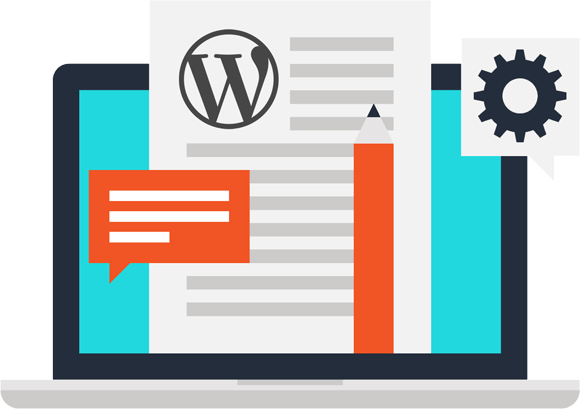 We help WordPress bloggers and website owners enhance the visibility of their website or blog in Search Engines like Google and Bing. We provide monthly retainer packages to keep your site updated if you cannot, from adding content or building additional features such as surveys, campaigns etc. We will securely move your entire WordPress site, emails and databases to a new hosting account. If we we did not build your site we have the knowledge to keep it running and up to date. We can install and set up additional functionality for your website.